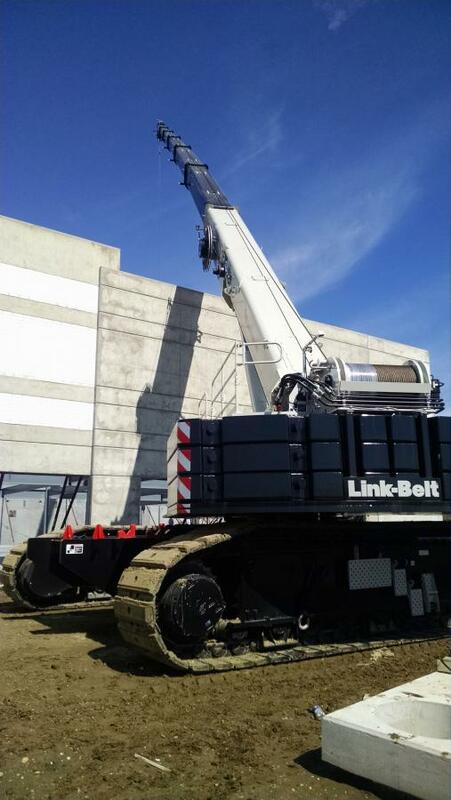 Lexington, KY – The all new Link-Belt TCC-2500 was already hard at work the same week Link-Belt Cranes formally introduced the crane world to the 250-ton (230-mt) telescopic crawler crane at CONEXPO-CON/AGG 2017 in Las Vegas, NV. L.R. 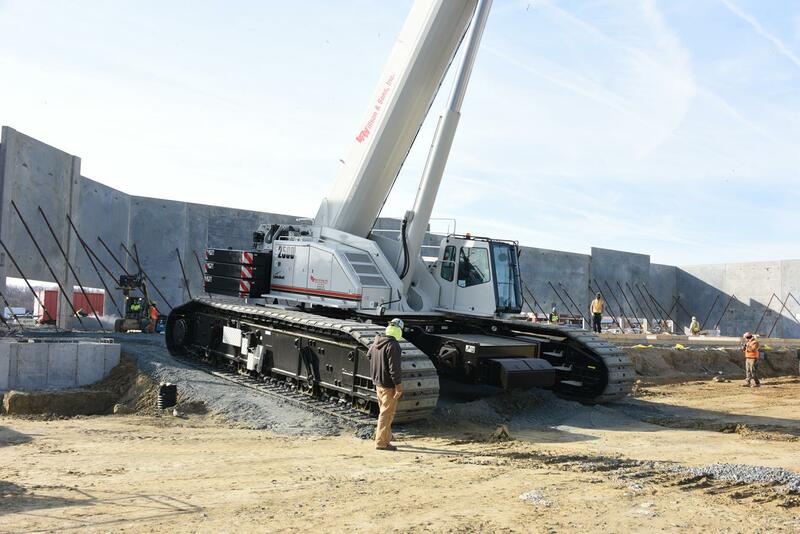 Willson and Sons, Inc. of Gambrills, MD is field testing the TCC-2500, completing tilt-panel work and steel erection for a 38,000 sq. ft. (3 530 sq. m) warehouse in the Washington, D.C. suburb of Capitol Heights, MD. A 13,000 lb. (5 896.7 kg) spreader bar and six parts line were used to place panels weighing as much as 84,000 lbs. (38 101.8 kg). “The crane is very smooth. It picked up the largest panels at a 35.4 ft. (10.8 m) radius, with a 68 degree boom angle, and we were good up to 123,000 lbs. (55 791.8 kg),” said operator Jamie Foster, L.R. Wilson and Sons, Inc.. 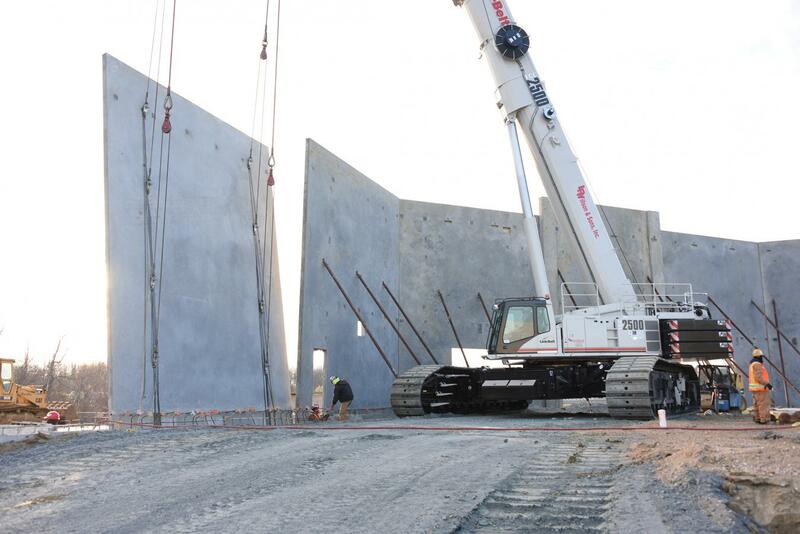 In total, the company set 38 precast tilt-up panels over a seven day period before moving on to steel erection for the interior of the building. The company normally uses a lattice boom crane to erect panels of this size, but in light of the new design and capacity of the TCC-2500, the company welcomed the chance to prove the machine’s capability. 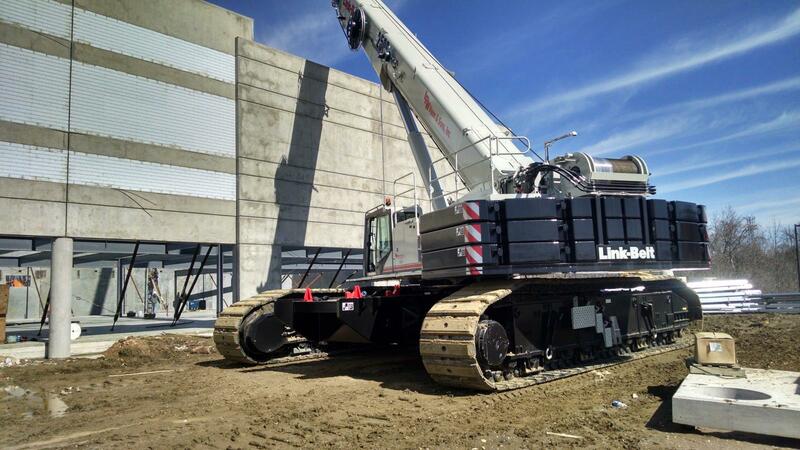 “This machine is a beast, and I cannot think of a better way to test our design and the functionality of this crane than with pour-in-place tilt wall work. Based on early comments I think we have hit a home run,” said Scott Knight, Link-Belt Product Manager, Lattice and Telescopic Crawler Cranes.